The non-rapier wielding fencers are back! With a freshly new release for PS4. 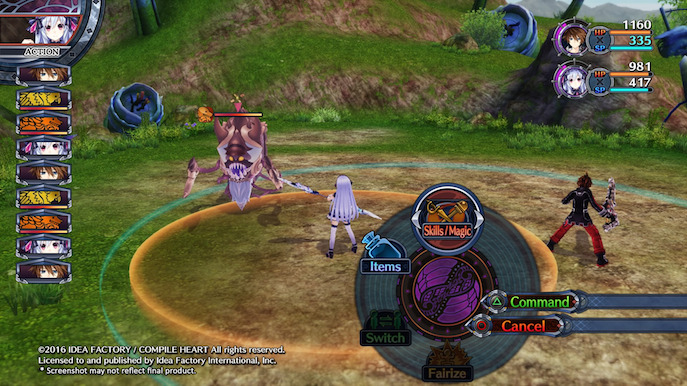 Advent Dark Force fills most of all the empty holes the original version f Fairy Fencer had on PS3/PC. 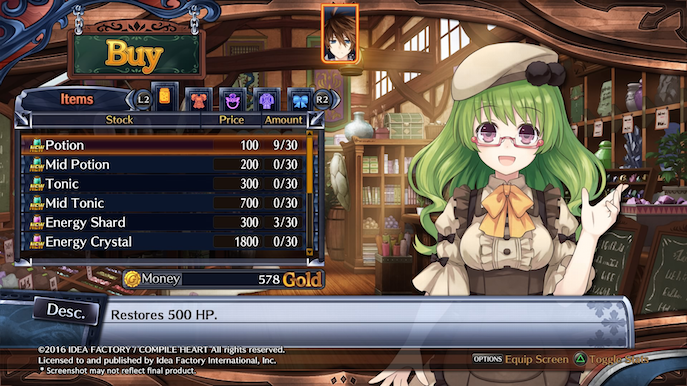 The game has more endings, new characters, different story paths, actual game play elements that now affect the adventure, and the same old charming writing. 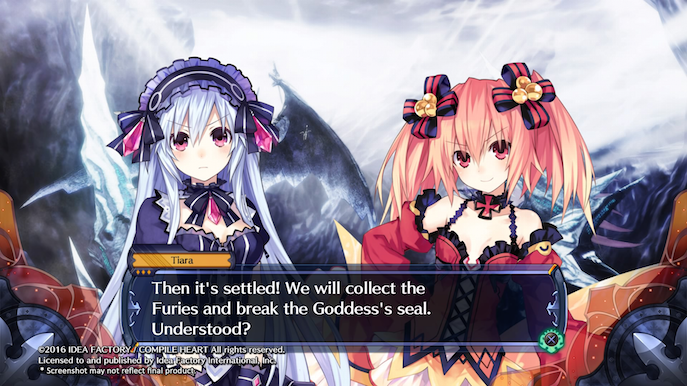 If you somehow recall my review of the original Fairy Fencer, I mentioned how fun the game is but felt bland on it’s biggest lore element, Reviving the Vile God or the Goddess. At the time, you could unlock Furies (Fairy Weapons) from either the two, each by using a Fairy with the corresponding letter Rank. However, doing so and by keep unlocking more and more furies did not affect anything related to the either the Vile God or the Goddess, both of them would manifest regardless at specific points in the story. Now, with Advent Dark Force, releasing one of them actually has an impact on the story and game play, but of course, these are all spoilers. The other aspect of this new version is that your encounters with the other characters have been varied, almost like if it is a parallel universe, or another timeline. The personalities are pretty much the same though, and each one being funny in their own way. Of course Fang, the protagonists, is still a lazy guy who has a hidden righteous heart, Eryn being as friendly as ever and Tiara getting exalted by the weirdest of things, it’s great to be back. IS IT A WHOLE NEW GAME? Yeah it’s a new version of the game, and certainly has very needed additions and workarounds, but it’s not a whole new game. I did find interesting how some of the original game’s scenes were just cut scenes, but in Advent Dark Force they turn those paragraphs into actual dungeons, with new enemies and simple puzzles. The mechanic of placing Furies on the map to unlock and/or enhance stats on dungeons according to the Fairy’s abilities is pretty much the same. It’s a great system that allows the player to modify his adventure to what he/she wants and prefers, but it would have been interesting to see it be altered in some new way. But hey, if it works, don’t have to fix it. Abilities and special Fairize abilities’, as well as the combo system and boosting your stats works pretty much the same way, you grind XP and spend points on what you like, unlock combos and place them however you like. 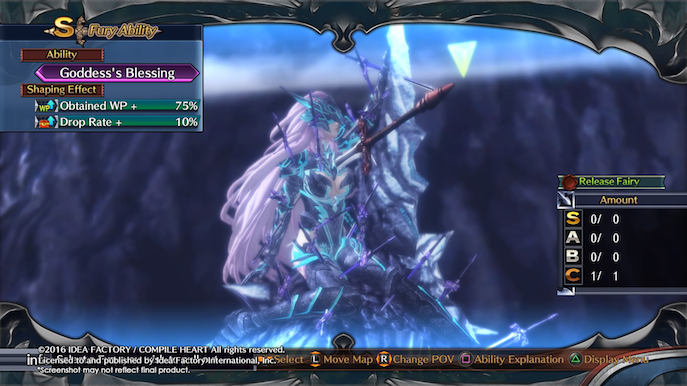 The game play works just as fine and has a few subtle additions, like armor breaking (hit an enemies repeatedly until it’s “armor” breaks for additional damage). In the first version you could play with up to 4 party member at a time, now you get up to 6! Making combo chains much more interesting and hilarious of course. 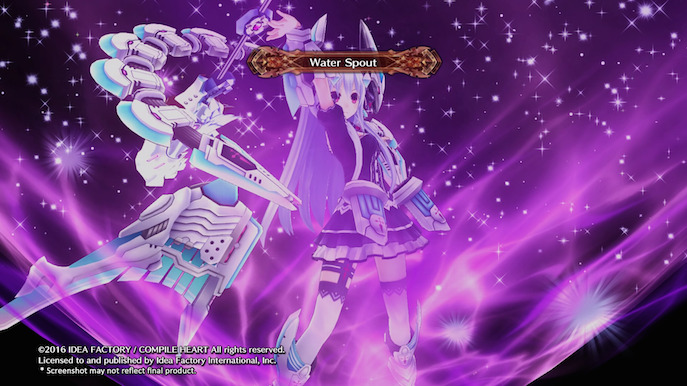 In terms of design, devs went ahead and slightly improved the Fairize armor as well, and overall the game’s environment and character models look sharper and better. 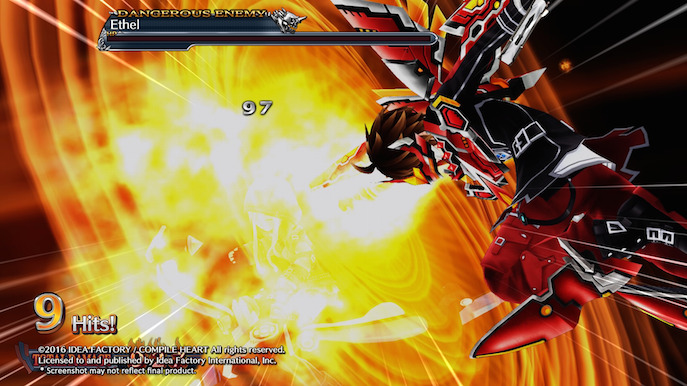 The music is still pretty amazing, hyping up every battle, special scenes, funny scenes and overall environments. It still feels fairly well mixed and balanced properly. 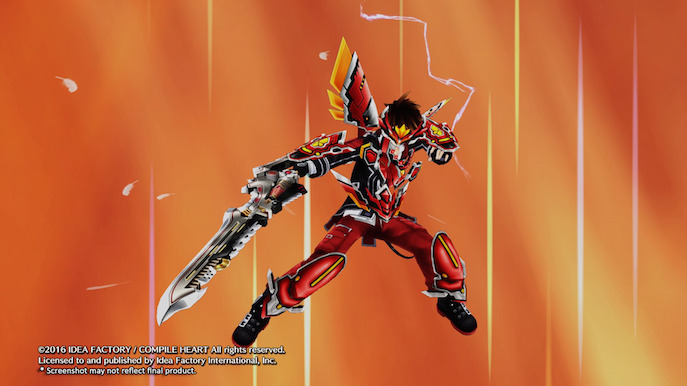 CAN WE EVER GET THE FAIRY WEAPON TO TRANSFORM INTO ACTUAL RAPIERS?! 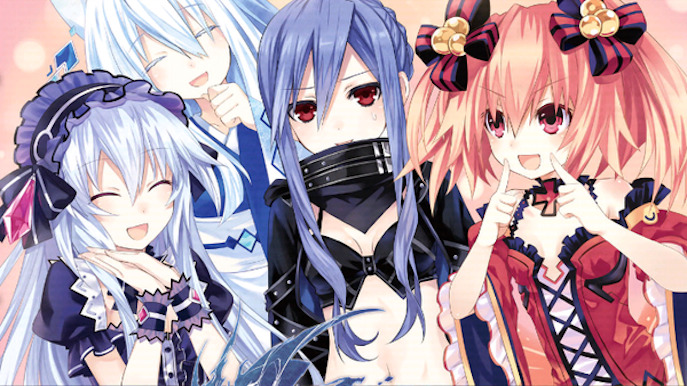 All these things really make you think what if this series had the Neptunia series treatment, and have multiple or various sequels/side universes. The whole plot of Fencers and Fairies can sound a bit simple but it can be so much more. Advent Dark Force effectively makes the game feel much more complete and makes the PS3/PC version look kind of repetitive. 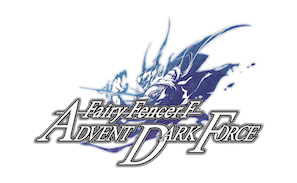 I would pretty much recommend to try Advent Dark Force anytime due to it’s great additions, but playing the older version is also nice in terms of enjoying the original experience and it’s take on it’s corresponding endings. Now enough chit-chat, Fairize and kick some a**! - Still has a large sense of grinding and feels repetitive unless you play around with as much options as you can. - Seriously, add rapiers or fences.